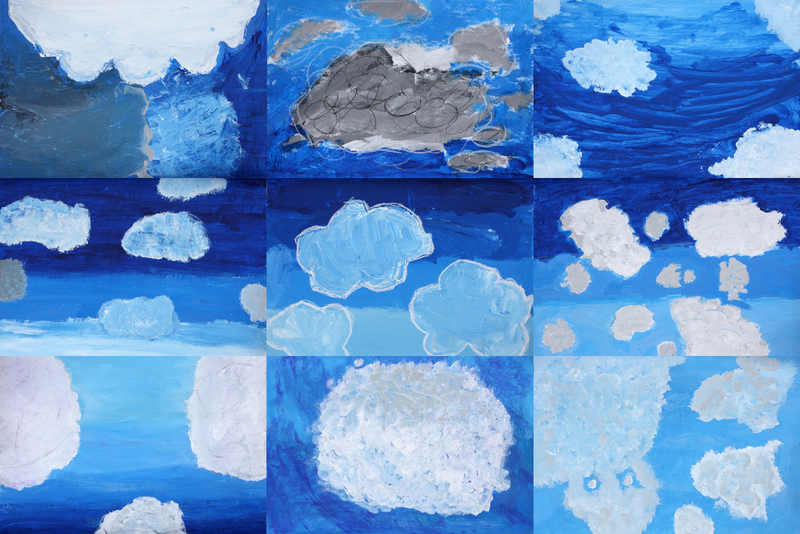 These graphic cloudscapes were created by a year 5 class within their first few days of school this year. They were embarking on a weather unit to begin their studies and these were a great way to quickly brighten up the bare walls of the room. 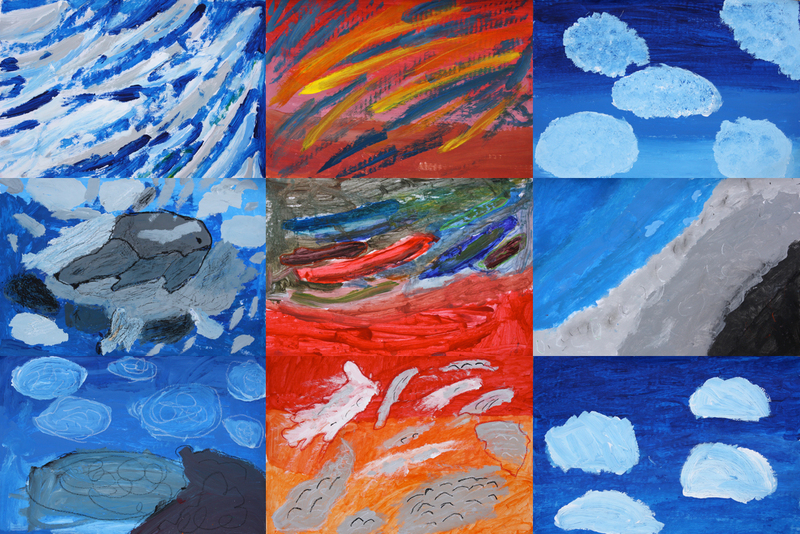 You can view my inaugural cloudscape post here. 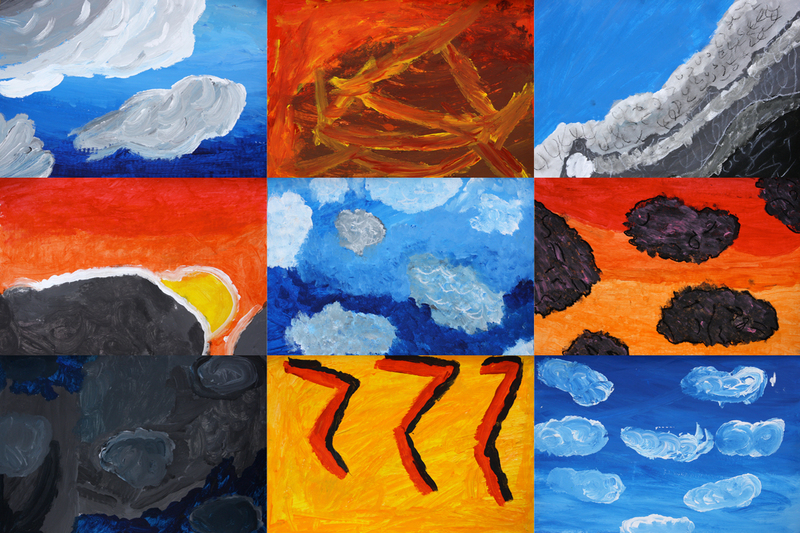 The students painted these with regular acrylic paint after viewing a diverse selection of cloud photos including sunsets and sunrises, storm clouds and much more. I think there must have even been some aurora borealis in there judging by a few of the colours! Some students also added some subtle oil pastel the following day. I really enjoy the variety of responses from the students. The three grids of nine artworks that I've used meant that the 28th student was left all alone... I hope they don't mind! 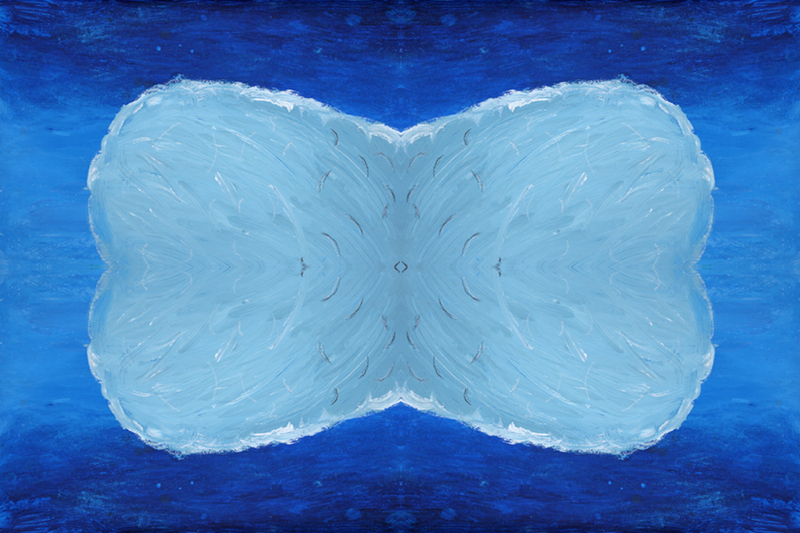 To make up for it I've copied and rotated the photo of their cloud four times resulting in the symmetrical pillow-like cloud above. Did they copy colours and shapes of clouds from some photographs? Because these are so various and different, thera are shadows, so many grade of blue and grey, your students are excellent observers! Fantastic works, especially all together! Hi Miriam, from memory they observed a lot of different photographs on the smart screen, but they were not left there for them to copy directly (although I think that could be good too). I agree they look extra strong together! Beautiful work. I love the impact of them all together as you present them.